I recently mentioned that without a To Read list I expected to finish reading books by some of my favorite authors, but have so far failed. What I've mostly been doing instead is reading more galleys of forthcoming books. So, although I still haven't read one of A.S. King's older titles, I have read her newest book, I Crawl Through It, which will be published this fall. (I can't publish the review until September, but let me just say OMG.) I've also read Andrew Smith's Stand-Off, the sequel to Winger, even though I haven't yet read The Alex Crow or The Marbury Lens. I received both of these galleys by requesting them through Edelweiss and downloading them to read on my nook. It's a little too easy to make a lot of requests, but I think I've been pacing myself pretty well. For a while now I've been participating in Penguin's First Flights, a program where you can sign up to receive a monthly galley of a forthcoming debut novel. But I haven't actually read a ton of them, so I'm making more of an effort to read those now too. 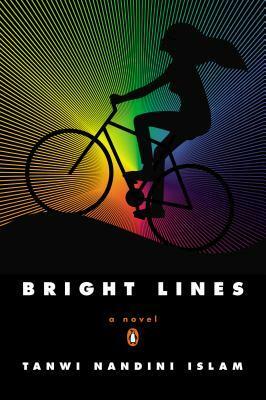 Last month was Kitchens of the Great Midwest by J. Ryan Stradal, and right now I'm reading Bright Lines by Tanwi Nandini Islam. Finally, I entered and won a Goodreads giveaway for a copy of this fall's release from historical novelist Geraldine Brooks. 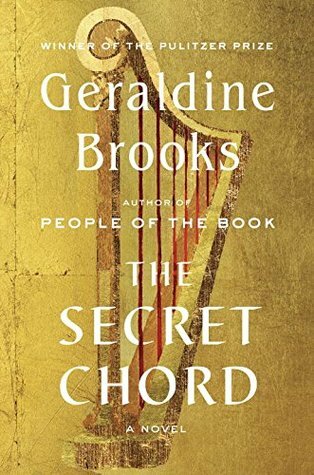 She is another author whose backlist I still haven't finished, but soon I'll be reading her yet-to-be-published novel The Secret Chord. Reading books that haven't even been published yet is lots of fun! It's riskier when they are authors I don't already know and there aren't yet many reviews to help me decide if I'd like the books, but I kind of like taking the chance. Plus, I can always stop reading something that I don't like, of course. I greatly prefer paper over ebooks, but the e-galleys can be downloaded as soon as they are available without having to wait for the mail to arrive so it's super convenient. Have you read any galleys of forthcoming books recently? Which ones would you recommend?